Your cat may sleep on the arm of your sofa while you watch television or run across your pillow in the wee hours of the morning. He may charm your visitors with a quick affectionate brush against their legs or hide under a piece of furniture until they leave. She may have a taste for a certain brand of cat food, or he may display a penchant toward an accessible backyard bird buffet. Every detail points to a very individual creature – which is why at Town N Country, we don’t have one size fits all vaccination recommendations for your cat. 1. Rabies. NC state law requires that all cats and dogs be vaccinated against rabies by four months of age. Rabies affects the central nervous system, evidenced in a cat’s radically changed behavior – including aggression. Purevax® Feline Rabies vaccine is Town N Country’s Rabies vaccine of choice because its state-of-the-art technology administers immunity without unnecessary proteins or adjuvants. SOME adjuvants have been implicated with certain risks like vaccine-site reactions, inflammation, or even vaccine-site-associated tumors. Some owners ask about 3-year Rabies vaccines. These vaccines are associated with the aforementioned risks. Town N Country vets trusts PureVax® vaccines to protect the lives of one-of-a-kind cats – like yours. 2. Feline Distemper Vaccine – this is a combination vaccine that includes vaccination against Feline Rhinotracheitis, Calicivirus and Panleukopenia. 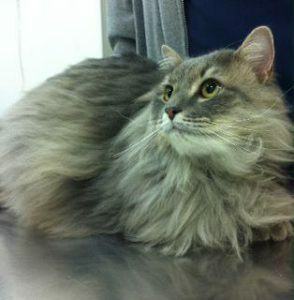 This vaccine is considered a CORE vaccine for all cats, even indoor-exclusive cats. Although indoor cats may not come in contact with other cats, there is concern for boarding visits, hospital visits, traveling and transmission of disease from the owner’s clothing or shoes. These diseases are highly contagious and many cats don’t survive the disease. 3. Feline Leukemia. Particularly dangerous for young cats, Feline Leukemia causes lymphoma in a quarter of infected cats and contributes to other diseases because it suppresses the immune system and bone marrow production. Vaccines are only recommended for multi-cat households, cats that spend anytime outside, and all kittens. Often a cat that’s infected with Feline Leukemia exhibits no visible symptoms. Kittens should be vaccinated for the first year of their life because of their high susceptibility to the disease. 4. Feline Immunodificiency Virus. Vaccination against this serious disease should be administered to cats of multi-cat households and those that spend anytime outside. This disease is most commonly transmitted via the saliva of infected cats or by transmission from mothers to their kittens. Many cats can live a long, normal life until their immune system’s function drops dangerously low. This is when cats become highly susceptible to infectious diseases. 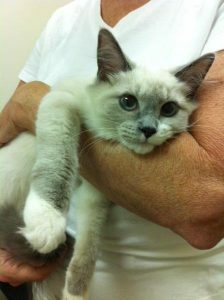 If you’ve added a kitten to your family or you think your cat may need a booster, give us a call. 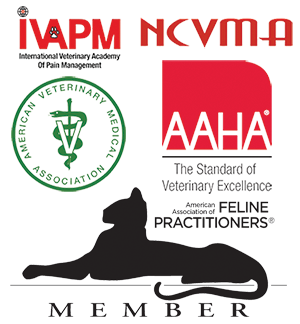 Before we decide what shots and preventions your cat needs, we’ll discuss your cat’s habits, health, age and preferred environment. It’s a simple step you can take to protect your pet. For your pet cat, it’s a jungle out there! Watch the crafty hunter crouch silently in the tall grass, ready to pounce on his prey. See the mighty huntress bring home the fresh meat, to be proudly displayed by the bathroom door. Your lovable tabby cat has a lot in common with lions, tigers and panthers, and even if she’s an indoor kitty, there are some things that just don’t change. Fresh meat! Like their distant relatives, house cats crave meat. Hopefully your indoor cat isn’t catching critters in your house. Instinct®’s Raw delivers nutrition the way nature intended — and supplies what your cat would seek in his natural habitat. Each flash frozen patty, medallion and chub ensures the best taste and nutritional quality – and you can find a variety of Nature’s Variety Instinct® Raw Frozen diets. Many pet owners see a true turn-around in their pet’s health when they change to Instinct® . For their testimonials, click here. Protection Needed Indoors or Outdoors. Keep in mind that indoor cats can fall victim to the same diseases that plague outdoor cats. Any unprotected cat is one mosquito bite away from heartworm disease. That’s why it’s so important that your cat receives the recommended vaccinations. Symptoms of heartworms mimic common problems like asthma or pneumonia. By the time the real cause is diagnosed, the unfortunate result can be adult-sized (14-inch) heartworms thriving inside a cat’s small heart and arteries. Prevention is much simpler than treatment. Revolution®, a once-a-month treatment can be applied topically to the skin between your cat’s shoulder blades. And the same topical medication prevents most intestinal parasites, ear mites, fleas and ticks. Indoors, outdoors, or a little bit of both, if you have questions about how to keep your cat healthy or you’d like to be sure vaccines are up to date, give us a call.